The beginnings of my ‘100 Things’ list. Not as easy as I expected as I try and remember all my personal dreams and ambitions. 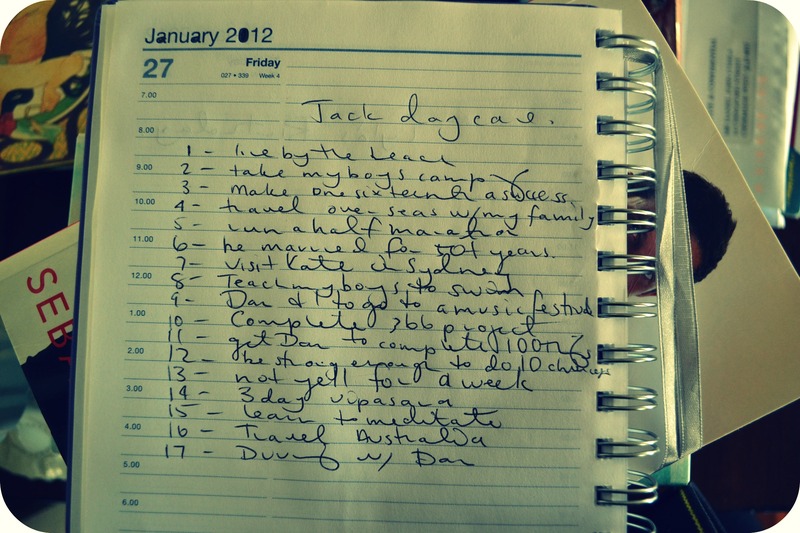 It’d be easy to write a ‘to do’ list but not so easy when they’re deep personal aspirations…. < Dacks where’s your pants…?